Emily Goligoski is research director for the Membership Puzzle Project, a collaboration between the Dutch journalism platform De Correspondent and New York University. She previously worked as a user experience research lead in The New York Times newsroom and brought design research to Mozilla Foundation. Emily completed her Master’s in Learning, Design & Technology at Stanford while conducting user research at Intel Labs. She previously worked at Chicago Public Radio (WBEZ) and studied journalism at Northwestern. She is on the board of Youth Radio. Emily has written for The Guardian, Columbia Journalism Review, and other sites that produce coverage worth paying for. 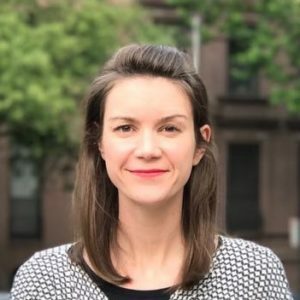 Emily will chair the panel “Subscriptions and memberships: Reinventing the relationship with your audience” on Friday, April 12, 2019 at 2:15 p.m.